American broadcast journalist Abby Eden had an astonishing attraction towards journalism from her early childhood, and she excelled in the field with her skillful news presentation and reporting. The Award-winning journalist works at the fox4kc network in the Kansas City, Missouri and anchors the FOX 4 News Morning Show Monday through Friday from 4:30 until 9 am in the morning. Abby was recognized and appreciated for her outstanding performance in the field of journalism, and she was awarded the Regional Murrow Award on April 2016 by RTDNA for investigative reporting. Abby Eden was born as Abigail Eden to parents Jon and Paula Eden. The Omaha, Nebraska native celebrates her birthday every year on 6th January. She has three sisters Jennifer White, Courtney Eden, and Annette Wells. 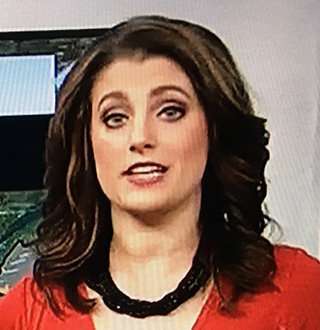 The 33-year-old beautiful journalist having a height of 5’10” rules the morning television hours with her excellent anchoring and news presentation skills. She had an eminent passion for journalism from her childhood, and she enjoyed watching the local and national news. Following her desire, she joined University of Missouri, Columbia and earned a Bachelor degree in Radio/Television Journalism from 2003-2007. She was active in pageants, the Homecoming Steering Committee, and Kappa Kappa Gamma as well as other campus activities. After gaining her degree in journalism, she excelled in the field having experience of working with 5 different renowned media networks. Abby Eden’s 15-year long career in journalism earned her a lot of fame and recognition. Her first job in journalism was in Tyler, Texas as a reporter and anchor for KETK TV and KFX where she worked for 3.5 years. 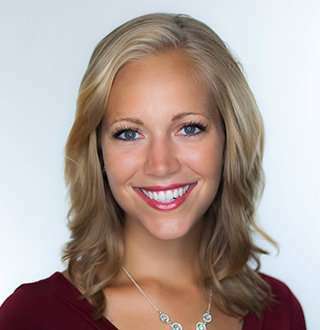 She also worked for WDAF TV in Lawrence, Kansas as a multimedia journalist for 1 year before joining FOX 4 in May 2011 where she anchored the 10 p.m. news with Phil Witt for nearly six years and then made a switch to the morning show. Related: Who Is Nancy Cordes Married To? Husband Unveiled Of The Gorgeous Journalist! She has won multiple awards for her work in journalism including a Barbara Jordan Media Award, an Emma, multiple Emmy nominations, an NLGJA award, a MORE Award, and an Edward R. Murrow Regional Award. Based on these facts, we can say that she makes a handsome salary from her work. Engaged to Tyler Curry from April 2016, Abbie married him in November 2016. The wedding ceremony took place at Our Lady of Sorrows Catholic Church in Kansas City, Missouri. Her husband Tyler is a native of Kansas and works as a Civil Engineer at Burns and McDonnell. The beautiful couple was blessed with a beautiful baby girl named Dorothy “Dottie” Ann just eight months ago. Ebby made a switch to morning show from the evening show in order to spend more time with her husband and family. Reciprocating the love, her husband is very supportive of her work, and we can see him visiting her in the morning show along with his family to surprise her. You May Like: Rare Facts About ABC News' Janai Norman Bio, Parents & Relationship Revealed! Abby manages her time from her busy work as a journalist and loves to spend it with her family at Kansas as well as Omaha. She is a perfect example of working women smartly managing time for professional as well as family life.